OK, after my last post, I feel like the Big Apple and I should kiss and make up. 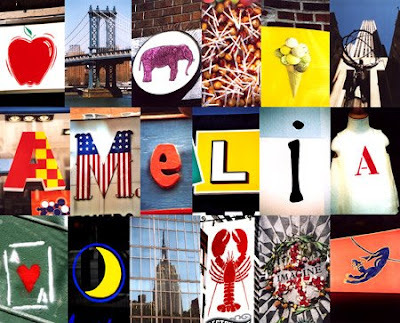 What made me fall in love all over again with the city? 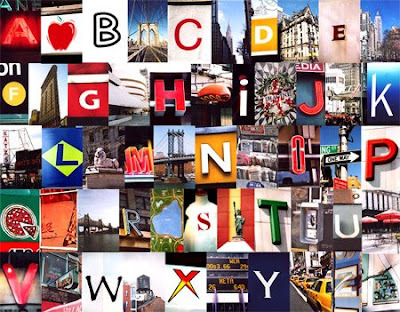 These unique and fantastic city alphabet collages for kids by Gregoire Ganters (via the ever-hip Nonchalant Mom). Oh yeah, he does custom collages too. So, what about me & New York? Fuhgetaboutit. Me too, there's nothing like it on earth. So much in just one place. Bubbles & Bathtime Basket Giveaway! "And Don't Get Into Mischief." Sun & Fun Basket Giveaway! Tune Out, Turn Off and Play!